Leaf-bud cuttings (a form of softwood cuttings) can be taken from any clematis and are a quick and easy to way to boost your stock of your favourite clematis.... It is easy to start new clematis vines from cuttings by following a few simple steps. 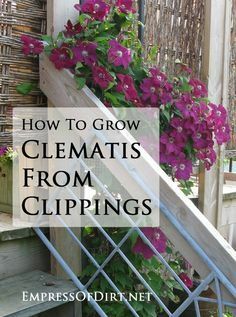 This is a guide about growing clematis from cuttings. I've got limited experience rooting clematis cuttings in soil, but I read somewhere that the key to success is making sure you have dormant buds in the leaf axils of the part you put in the ground. That is where the roots can grow from. It is possible that putting …... How to grow clematis from cuttings. If you have a clematis vine you love (or a friend does), this tip shows you how to take cuttings to create more vines—that's what propagation is. Softwood cuttings are best carried out in April, May and June from the mid-sections of strongly growing vines. how to grow a plant from another planet Then once fully rooted, cut the stems back to only 12 inches in height. This will help the plant branch out and climb up a trellis or fence. Let’s look at how to propagate clematis from cuttings.is from clematis cuttings. Evergreen clematis is a cultivar of the clematis vine plant. Evergreen clematis retains its green colour even throughout the winter, which makes it a good choice for gardeners who want to have a vibrant garden all year round. 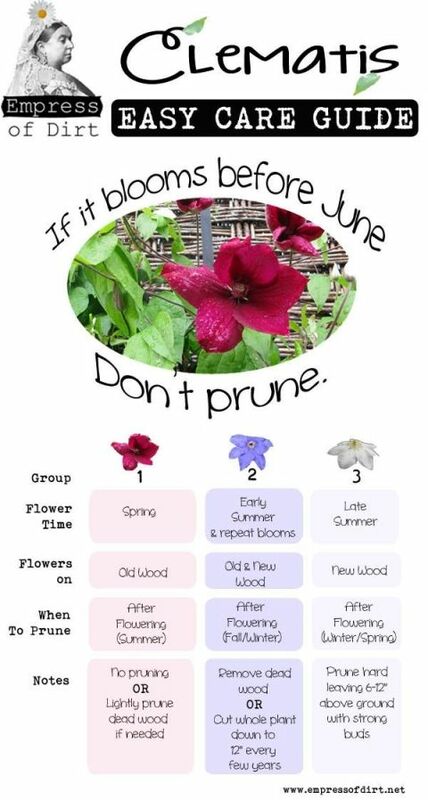 how to get lat and log from embed google maps Whether you grow large, summer blooming clematis or smaller, fall-blooming types, clematis are spectacular vines that are appropriate in a variety of landscaping settings. Clematishow to root clematis from cuttings? Sweet autumn clematis, or Clematis terniflora, is an easy-to-grow climbing vine that produces star-shaped white flowers of ineffable charm. It may bloom from late summer into mid-fall. 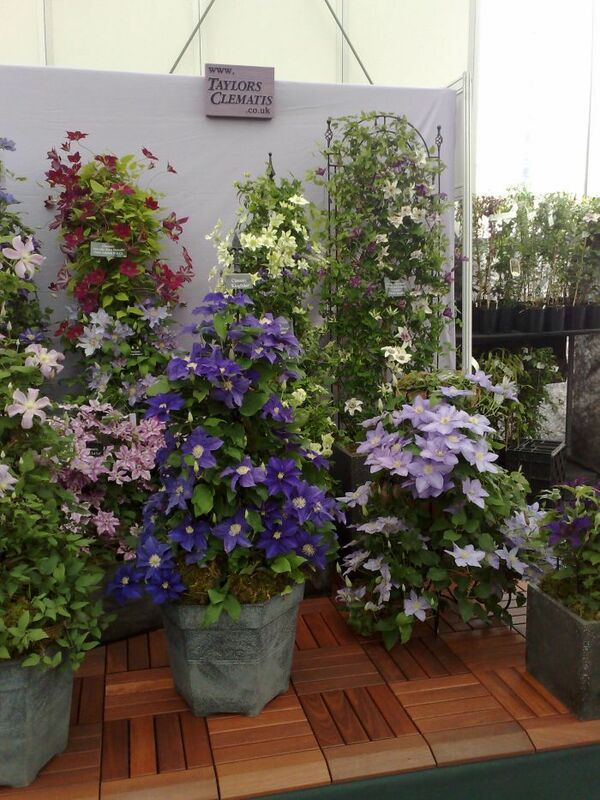 A healthy clematis vine that blooms well and consistently in your garden or around your home is worth propagating. You can propagate clematis vines in a number of ways, but the easiest methods for most gardeners are by layering or taking cuttings.